novels, books, manuscripts and publications. 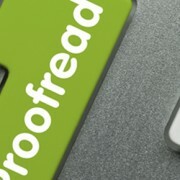 Our proofreading service is of the highest quality, all our editors have the highest level of expertise. To ensure this as a minimum all our editors hold Masters/PhD qualifications from leading British universities and have extensive experience proofreading and editing work. Our editors specialise in proofreading a variety of business documents including proofreading manuscripts, proofreading novels and proofreading books as well as proofreading other forms of work. We are able to ensure that your work is not only free from spelling mistakes and grammatical errors but we will work with you to provide you with a truly personalised proofreading service. Due to the expertise of our editors we are able to ensure that your work is not only free from spelling mistakes and grammatical errors but we also check syntax, sentence structure and are able to recommend improvements and suggestions that are relevant to your work. Over the years we have helped educational organisations, governmental departments, small businesses as well as novelists and authors. So rest assured we will provide you with a high quality, professional, personalised service, we will take a fresh look at your work and ensure that it is free from errors and we will work with you throughout the process to achieve this. We offer a specialist manuscript editing and book editing service. Our editors have years of experience proofreading and editing novels and manuscripts, using their attention to detail and expertise they will ensure that your work is flawless and ready for publication. We understand the pressures authors face when preparing works for publication, often this can be a long arduous process. Our professional manuscript editing service can help ensure that you have someone who understand what you are trying to achieve assist you. Our service not only includes proofreading but we will also provide feedback and suggestions that may be relevant to your work, providing you with a truly personalised service.